The following photos are of a 3408 Caterpillar engine out of a front end loader operated by Florida Crushed Stone in Central Florida. 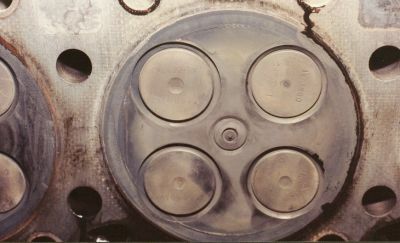 One of the combustion surfaces as it appeared when the engine was taken apart. The engine had 13,788 hours on it and was operated on Fuel-Tek C-5 treated fuel for over 1,000 hours. If you look closely at the top right valve you can read the part numbers. 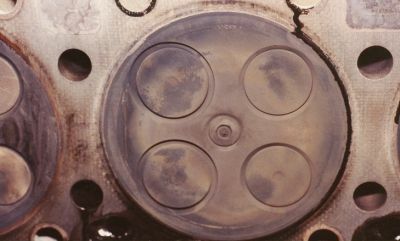 The same combustion surface after it has been wiped down with a dry rag. 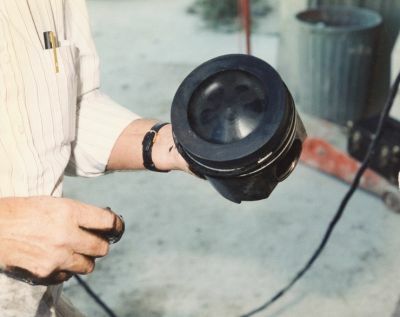 One of the pistons from the same engine. 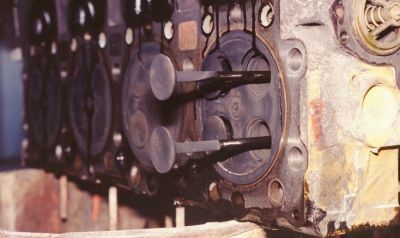 Final shot is a close up of the exhaust valves showing how clean the stems are. FLORIDA CRUSHED STONE CO., INC.